This movie definitely falls into the comedy category, but still offers a large dose of reflective drama as a balance. 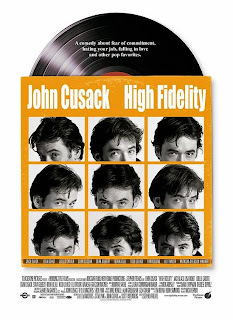 High Fidelity follows the life of 30-something Rob, who must face the undeniable facts - he's growing up. After getting dumped by his current girlfriend, he decides to review his top five worst breakups (he constantly makes top five lists, though usually about music) in order to figure out what he keeps doing wrong in his relationships. He recalls each breakup, reconnects with these former loves to find out why they dumped him, and wallows in misery from losing Laura. Rob makes fruitless attempts to win Laura back, indulges in new relationships laced with fantasy, and tries introspection. In a hilarious homage to the music scene, Rob and the wacky, offbeat clerks that inhabit his store expound on the intricacies of life and song all the while trying to succeed in their adult relationships. Are they listening to pop music because they are miserable? Or are they miserable because they listen to pop music? This romantic comedy provides a whimsical glimpse into the male view of the affairs of the heart.